Since I turned into a crazy person, I've been doing a lot less reading. I have instead been spending my time watching stupid Netflix shows like The Bionic Vet... yeah. I did however read a few things, but it kind of felt like I was just finishing them to finish... not to enjoy the book. That is one of the problems I have with doing a reading challenge. I haven't finished any books this month, but I am in the middle of a couple. We are doing a lot of driving this week, so hopefully I can get some more done. 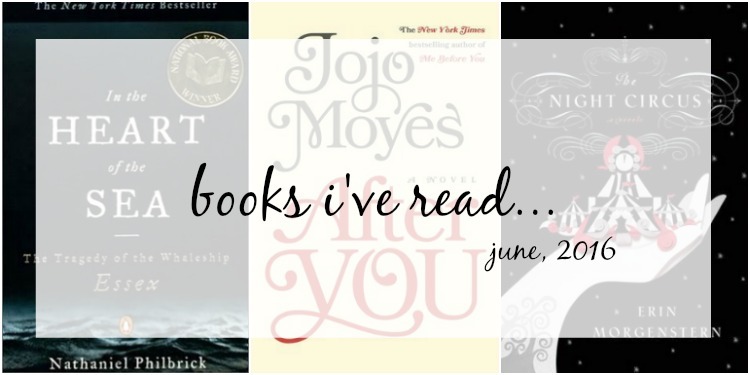 As always, I am linking up with Michelle Lately for the Reading Lately link up. I did this a little bit out of order. I saw the movie and am now reading the book. The book seems more analytical, but I’m only about halfway through. I’ll let you know. Lots of people said that this is one of their favorite books! I am listening to it right now, and while it is good, it doesn’t quite hold my attention. I think as I get more into the plot and the story of the game it will be better. Louisa Clark is no longer just an ordinary girl living an ordinary life. After the transformative six months spent with Will Traynor, she is struggling without him. When an extraordinary accident forces Lou to return home to her family, she can’t help but feel she’s right back where she started.Her body heals, but Lou herself knows that she needs to be kick-started back to life. Which is how she ends up in a church basement with the members of the Moving On support group, who share insights, laughter, frustrations, and terrible cookies. They will also lead her to the strong, capable Sam Fielding—the paramedic, whose business is life and death, and the one man who might be able to understand her. Then a figure from Will’s past appears and hijacks all her plans, propelling her into a very different future... For Lou Clark, life after Will Traynor means learning to fall in love again, with all the risks that brings. But here Jojo Moyes gives us two families, as real as our own, whose joys and sorrows will touch you deeply, and where both changes and surprises await. I'm very excited to read this, especially because I recently finished Me Before You. Still haven't seen the movie though! !